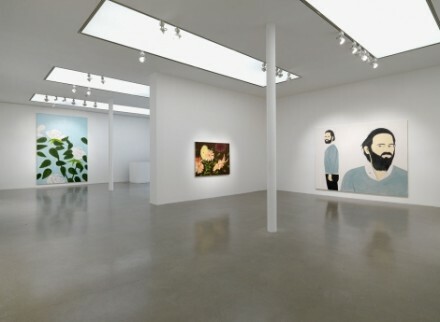 Now in its final week at Timothy Taylor Gallery in London is a new series of portraits and still lifes by 84-year-old American artist Alex Katz. 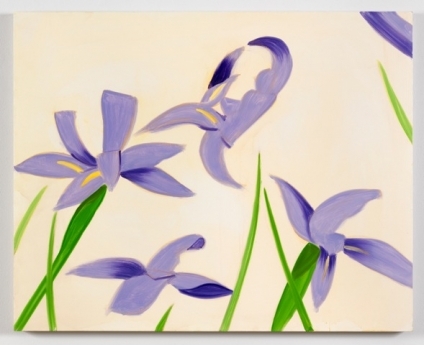 The exhibition is comprised of large-scale portraits of family and friends and still lifes of flowers that he bought from street vendors near his New York studio. 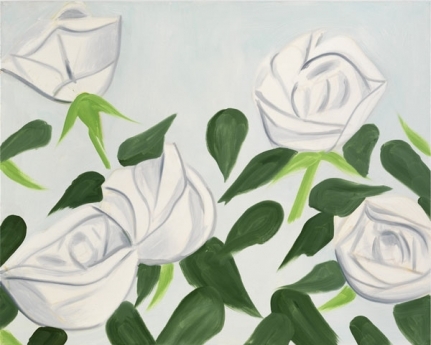 Katz has participated in close to 500 group shows internationally since the 1950s, and has given over 200 solo exhibitions at galleries all over the world, including The Albertina, Vienna; The National Portrait Gallery, London; and The Whitney Museum of American Art, New York. Katz has expressed that he is interested in achieving a non-descriptive, instinctual interpretation of simple elements in his paintings. 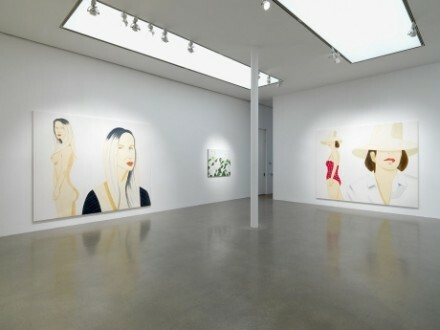 An innovator of the now-widespread minimalist aesthetic, his illustrations are stripped of all that is extra or unnecessary, utilizing white space, outlines, and non-blended uniform color, reducing everyday objects and real-life people in their most clear and purified state. His subjects are simultaneously casual and austere in character, giving the viewer at once a sense of familiarity and a respectful distance from the subjects portrayed. He transforms emotional objects such as flowers and the usually complex human face into objective, approachable subjects, open to interpretation from the viewer. 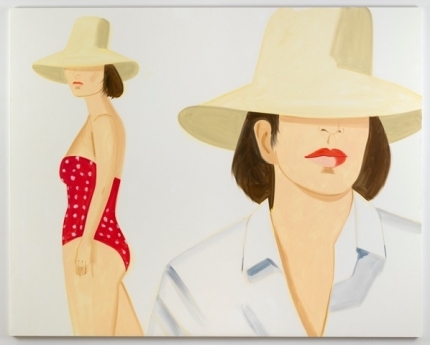 “Alex Katz: Give Me Tomorrow,” an exhibition focusing on Katz’s seascapes and beach scenes, was on display at Tate St. Ives through September 23rd and will move next to Turner Contemporary, Margate, where it will run from October 6th through January 13th. 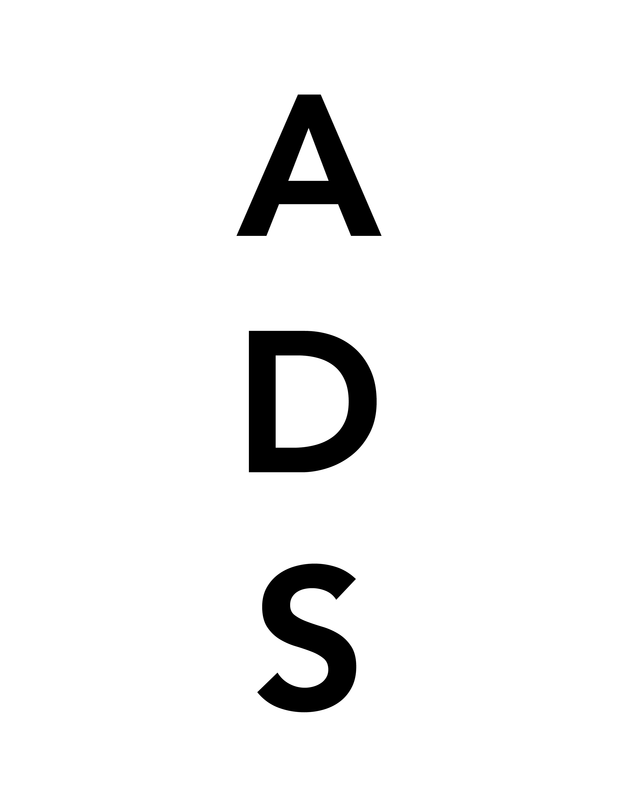 This entry was posted on Friday, October 5th, 2012 at 10:38 pm	and is filed under Art News, Go See. You can follow any responses to this entry through the RSS 2.0 feed. You can leave a response, or trackback from your own site.